Istanbul (AFP) - Turkey's ruling party was Wednesday shaken by a rare rebellion by its lawmakers in a key late night vote on whether to send to trial four ex-ministers accused in a 2013 graft investigation. The Turkish parliament voted against putting the ministers on trial, drawing a line under a scandal that shook President Recep Tayyip Erdogan's government. The ruling Justice and Development Party (AKP), co-founded by Erdogan and which has dominated Turkish politics for more than a decade, has a comfortable majority in parliament and most expected the vote would be a formality. But dozens of ruling party lawmakers broke rank, casting doubt over party unity ahead of key legislative elections in June in the usually tight-knit AKP. 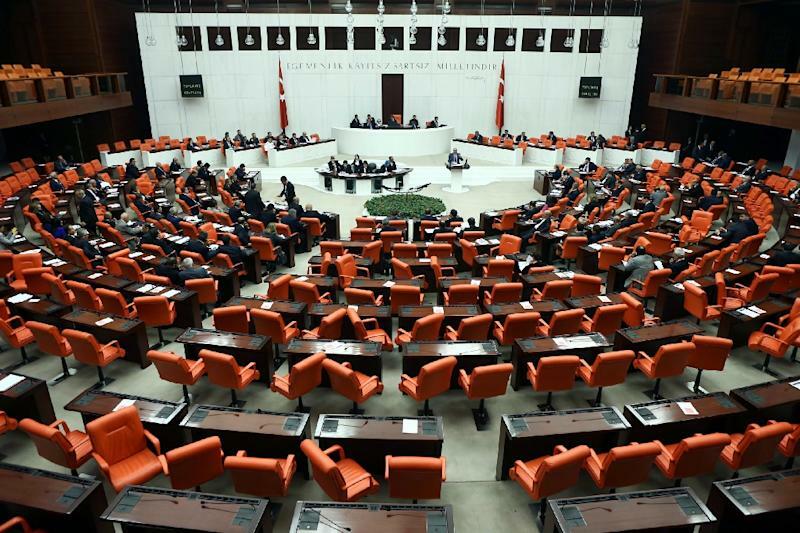 The 550-seat parliament voted on the fate of each of the ex-ministers -- all Erdogan allies -- in secret ballots in a session that stretched past midnight. Prime Minister Ahmet Davutoglu, who was absent during the vote on a trip to Britain, brushed off concerns over a split in the party. "Dissenting votes show that we are respecting the legal process," he told Turkish reporters in London. "The AKP did what was legal and ethical." Former interior minister Muammer Guler, ex-environment minister Erdogan Bayraktar, ex-economy minister Zafer Caglayan and ex-EU affairs minister Egemen Bagis faced accusations of bribery and influence-peddling. They are accused of receiving bribes from an Iranian businessman, Reza Zarrab, to facilitate UN sanctions-busting trade with Iran and other deals. Caglayan allegedly accepted a $300,000 (245,000 euro) wristwatch as a bribe. At least 48 AKP lawmakers defied their party and voted to prosecute Bagis, making him the least favoured of four ministers. The vote on Bayraktar encountered the least opposition, with only 14 AKP deputies voting to send him to the court. Official images however showed Bagis defiantly flinging the ballot paper into the ballot box, drawing ridicule on Twitter. "How brazen is that. That tops it all!" wrote former football player Saffet Sancakli. Deputy parliament speaker Aysenur Bahcekapili, also from the AKP, said that a 50 Turkish lira banknote (worth $21, or 17 euros) had been found inside one of the ballot boxes. "Unfortunately, it will be returned to the treasury, my friends," she quipped. Private NTV channel said the banknote was cast by opposition lawmaker Mahmut Tanal. Anti-corruption group Transparency International slammed the vote as "taking the culture of political impunity to a dangerous new level." "Today's vote will only reinforce the growing global perception that corruption is a major problem in Turkey," Oya Ozarslan, chair of Transparency International Turkey, said in a statement. All four ministers resigned in the wake of the graft probe, which prompted a swift cabinet shake-up, but they maintained their innocence. None of the ministers took to the floor to address the parliament ahead of the vote on Tuesday. Bayraktar said he decided not to speak after his friends advised him not to do so. "I explain this to you because I love you. You love me, too, and I need love," he told reporters. Anti-government newspapers claimed that the AKP had forced its deputies to either photograph their votes inside the booth or bring back ballot papers they did not cast. But Davutoglu said all lawmakers from the AKP were encouraged to vote as their conscience dictated rather than along party lines. "There has never been pressure on any of our lawmakers. No instructions at all," he said. 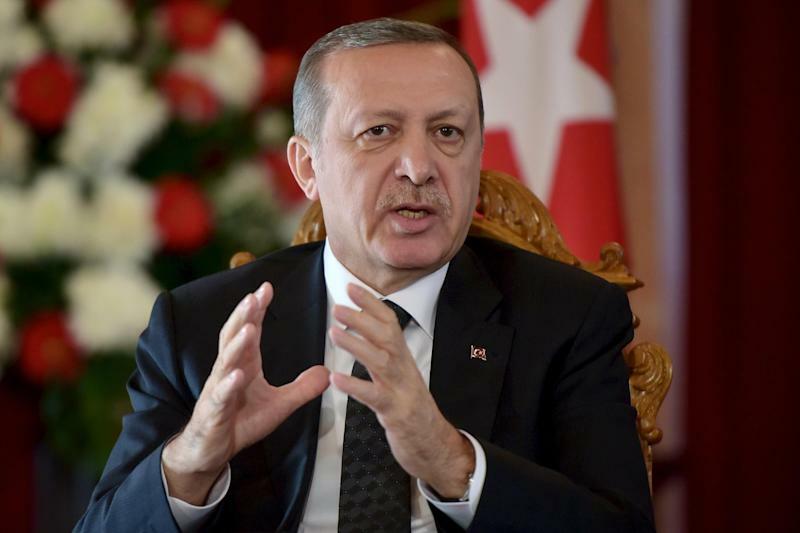 Erdogan angrily claimed the scandal was the brainchild of his ally-turned-foe, the US-based cleric Fethullah Gulen, whose supporters allegedly hold key positions in the police and the judiciary. Turkey is set to hold legislative elections in June, with the AKP aiming for a thumping majority to change the constitution and boost Erdogan's presidential powers. After Recent Setbacks, Will New York and New Jersey Legalize Pot?